Gov. 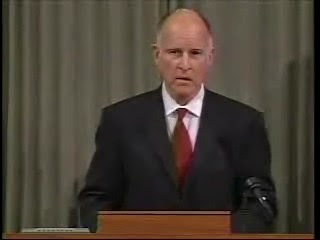 Brown's State of the State speech earlier tonight focused mainly on the state budget. There are occasional references to the University and one to public pensions. Calpensions.com is reporting that Moody’s is counting state (any state, not just California) pension debt, along with regular bond debt, in calculating total obligations. Presumably, this sum will be considered in rating bonds. I imagine most folks will take this as Bad News. But note that UC has struggled to get the state to acknowledge that it had a liability for the UC pension. The state is making contributions to its other major pension plans, CalPERS and CalSTRS, but it is not doing anything for UC, forcing the University to divert resources from its general operations. Thanks to efforts of the UCLA Faculty Assn., the Legislative Analyst has begun acknowledging that the state has some liability for UC's pension system. But no dollars have flowed from that recognition. No dollars are included in Gov. Brown's budget proposal for 2011-12. There is some ambiguity in the report as to what Moody’s is counting. But calpensions seems to think that UC is in the mix. That can be taken as Good News since it adds pressure on the state to do something affirmatively regarding the UC pension and its unfunded liability. …In the past, said Moody’s, pension funding levels were factored into state credit analysis. But the annual state debt reports were based only on the value of outstanding bonds as a percentage of income and other factors… California currently has one of the lowest bond ratings of any state, A1 from Moody’s. …California’s combined bond and unfunded pension debt is 162.6 percent of annual state revenue, Moody’s said, ranking 19th among states. Oregon leads with debt equal to 316.8 percent of revenue, while Nebraska is the lowest, just 2.3 percent. …The Moody’s report lists California’s combined debt as $136.9 billion ($87.3 billion bonds and $49.6 billion unfunded pensions). …The Moody’s listing of California’s unfunded pension liability, $49.6 billion, apparently reflecting a lag in annual state reports, is similar to the total before major pension fund investment losses in the 2008 stock market crash. The unfunded liability separately reported by the three state pension funds as of June 30, 2009, totaled $91.5 billion: California Public Employees Retirement System $48.6 billion, California State Teachers Retirement System $40.5 billion, and the University of California Retirement Plan $2.4 billion. 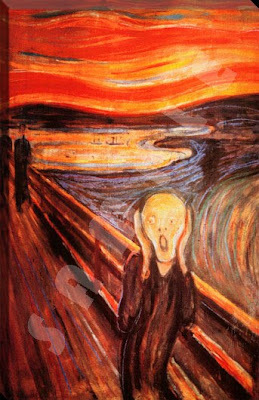 Until very recently, all but a few lonely politicians had one of three reactions to the topic of pension reform: glazed eyes, denial or lip service. But that was before the revelations that top dogs in tiny working-class Bell were pillaging the town treasury for their personal gain, before 36 University of California executives threatened legal action to prevent the state from calculating their pension on a $245,000 limit instead of their actual stratospheric salaries and before the governor's new budget asked Californians to brace for deeper budget cuts and an extension of temporary taxes. I get the sense that a long-festering issue has found its moment. California legislators are practically tripping over themselves to introduce measures to rein in pension costs. Assemblyman Jerry Hill, D-San Mateo, to cite one example, has introduced AB89 to limit state pensions for future workers to the federal cap of $195,000. He acknowledged that most reform proposals, including his, are "doing things around the edges" of a growing burden on the state treasury. Sen. Mimi Walters, a Laguna Niguel Republican who ran for state treasurer last year, is preparing a package of bills that would replace a defined-benefit pension with a 401(k) plan for state workers. …Therein may lie the road map for compromise between Gov. Jerry Brown - who wants voters to approve about $12 billion in tax extensions on income, sales and vehicle licenses - and Senate and Assembly Republicans who would need to deliver at least a few votes to put those taxes on the ballot. Brown gets his tax extensions, avoiding far more draconian cuts to state programs; Republicans get reforms that otherwise would never emerge from a Democratic-controlled Legislature with deep ties to state-employee unions. …Significant reforms are going to require increasing contributions for future employees and scaling back their retirement benefits. Everyone agrees that the benefits of current retirees cannot be touched, as both a moral and legal matter. But there is an open question about whether a state or local government in dire fiscal circumstances can alter agreements with existing employees. A Sacramento group called California Pension Reform is preparing an initiative that would freeze current employees' retirement calculations - their credits for years of service and salary - when pension funds drop below 80 percent of the level to meet future obligations. Such a measure would certainly draw a lawsuit if it were to pass - but do public employee unions really want to take their chances at the ballot box and in court? AB 89, as introduced, Hill. Retirement: public employees. The Public Employees' Retirement Law creates the Public Employees' Retirement System, which provides a defined benefit to its members based on age at retirement, service credit, and final compensation, as defined. The State Teachers' Retirement Law and the retirement laws for county employees and city employees also provide for a defined benefit based on age at retirement, service credit, and final compensation. This bill would specify that, notwithstanding any other law, for the purposes of determining a retirement benefit paid to a person who first becomes a member of a public retirement system on or after January 1, 2012, the maximum salary, compensation, or payrate upon which retirement benefits shall be based shall not exceed an amount set forth in a specified provision of the Internal Revenue Code. 7503.5. Notwithstanding any other law, for the purposes of determining a retirement benefit paid to a person who first becomes a member of a public retirement system on or after January 1, 2012, the maximum salary, compensation, or payrate upon which retirement benefits shall be based shall not exceed the amount specified in Section 401(a)(17) of Title 26 of the United States Code, or its successor. 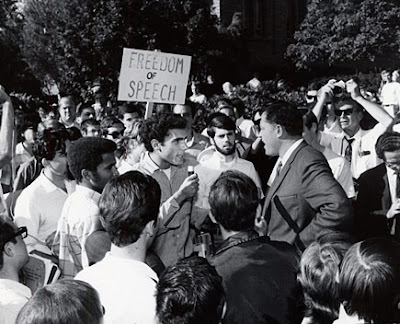 Then Vice-Chancellor (later Chancellor) Charles Young deals with student demonstrators in 1965. UCLA History Project. An article on the history of the Master Plan for Higher Ed has appeared aimed at challenging the standard history. LAO assessment: proposed General Fund savings are reasonable. * Given the magnitude of the state’s budget shortfall and the universities’ current-year augmentations, we believe the magnitude of the proposed cuts is reasonable. * However, we recommend achieving some of the General Fund savings by reducing the universities’ current-year augmentations. Note: Keep in mind that higher education in some of the slides includes the community colleges, not just UC and CSU. Note: As you read the item below, note that the hotel project still will require considerable bond financing. See the bold italics. UCLA gets $100-million donation: Half of the gift from Meyer Luskin and his wife, Renee, will go to the School of Public Affairs.... The rest will go toward building an on-campus hotel and conference center. A UCLA alumnus who earned a fortune in the animal feed business is donating $100 million to the Westwood campus for its school of public affairs and the controversial construction of an on-campus hotel and conference center, officials plan to announce Wednesday. The gift from Meyer Luskin and his wife, Renee, is the second largest ever to UCLA. It is topped only by entertainment industry mogul David Geffen's $200-million donation to UCLA's medical school in 2002. Half of the Luskin donation will go to UCLA's School of Public Affairs, where it will support graduate student financial aid, and teaching and research in such fields as public policy, urban planning and social welfare. The school will be renamed in honor of the couple. The other half of the gift will help build a 282-room conference center and faculty club that is intended to replace the existing campus faculty center if opposition does not alter or stop the project. Meyer Luskin, 85, president and chairman of Scope Industries, a Santa Monica-based firm that recycles bakery waste into an ingredient in animal feed, said he could think of no better use for his money than to support a university. "Education is the fountain of a good life," said Luskin, who commuted from Boyle Heights to UCLA as a scholarship student in the 1940s. "If you want to do the best for somebody, give them a good education." Public policy studies do not receive enough funding, Luskin said, especially compared with the sciences. "More money should go into teaching people the techniques of helping each other and living together and figuring out how society works best," he said. "The School of Public Affairs will do that." …Even before the donation was announced, plans to demolish the faculty club had triggered debate. Critics say the much larger replacement complex is a waste of money and risky investment during the UC system's current budget crisis. But if the project goes forward, they said, the conference center should be built elsewhere on campus without demolishing a beloved building. On Monday night, about 120 people, including retired professors who use the club for social events, attended a meeting at the facility and heard critics urge UC administrators to drop or change the proposal. 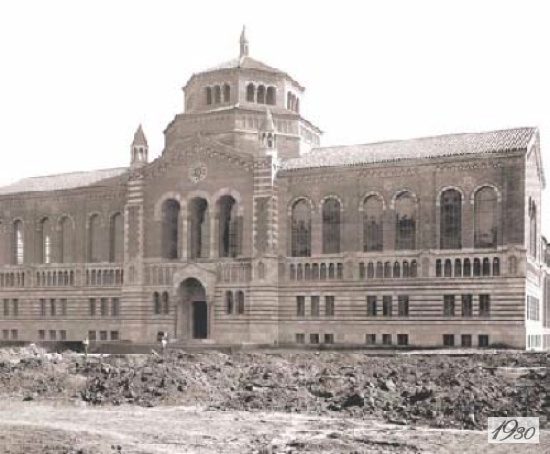 …About $40 million of the Luskins' donation will go toward construction of the center and $10 million to an endowment for programming and other costs there, UCLA officials said. The remaining $120 million of construction costs will be financed by bonds that are expected to be repaid through rental and room revenue, according to the plan. Construction is scheduled to begin in the spring 2012 and be completed in late 2014. …Meyer and Renee Luskin, who live in Brentwood and have three children and four grandchildren, both received undergraduate degrees from UCLA, he in economics in 1949 and she in sociology in 1953. Meyer Luskin, who also earned a master's in business administration at Stanford University, worked as an investment counselor before he was hired at Scope in 1961. 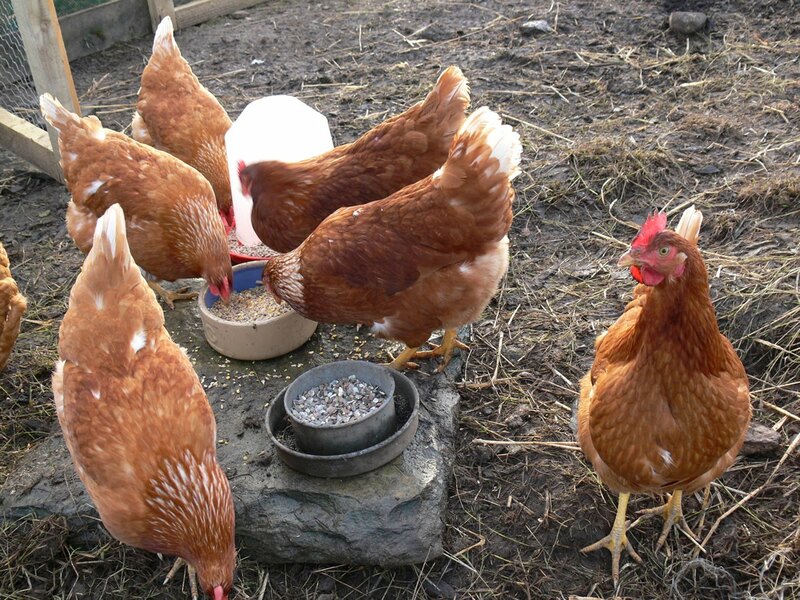 The firm, which last year had revenue of $110 million and employs 250 people at plants around the country, sells animal feed products for poultry and dairy farms, said Luskin, who is now its majority shareholder. It previously also owned cosmetology schools but sold them in 2004. PS: If you've seen the film from which this video comes, you know that the cheery song is followed by a raid by the sheriff because the show is in fact bankrupt. The Ying and Yang of the UC Pension: Brown vs. LAO? Two views on the UC budget (cut) and the UC pension. Jerry Brown’s flack says state won’t pay (sort of). In contrast, the LAO has no objection to the state paying in the abstract (reminder: Thanks to the UCLA Faculty Assn.!!! 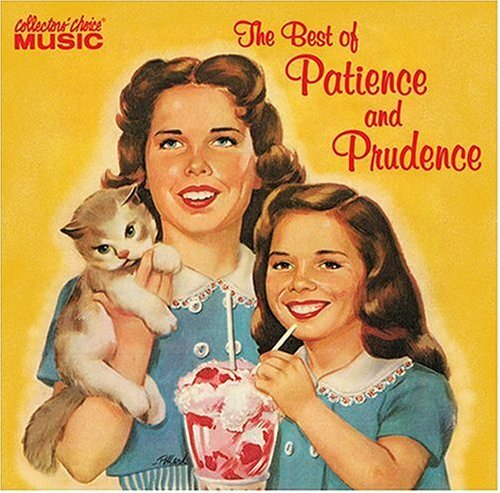 ), but seems to want unspecified assurances. The University of California faces a more than $200 million deeper reduction than the $500 million proposed in Gov. Jerry Brown’s budget – in part because the state refuses to make a contribution to the 10-campus system’s retirement system. UC says the state, as it has in the past, should pay a percentage of the employer payments the university makes to its retirement system based on the $3 billion general fund contribution the state makes to the system’s $6 billion instructional budget. Brown would reduce the $3 billion to $2.5 billion. …“The governor’s budget treats the UC pension issue in a manner consistent with prior budgets – it proposes no state contribution to its independent retirement system,” said H.D. Palmer, a spokesman for Brown’s Department of Finance. …Historically, the state has contributed to UC’s retirement system, which was created in 1961. Then Gov. Ronald Reagan’s 1969 budget shows a contribution of $14.1 million to the fund from two years earlier. Twice in the 1980s, the state has missed payments because of fiscal problems but agreed to repay what was owed over time. The state’s contribution is calculated and included in the budget request sent to Sacramento by UC’s Board of Regents. …There is no such dispute with the 23-campus California University System. Its retirement system is part of PERS and the Brown administration has proposed a $75.2 million increase in employer payment in the budget. 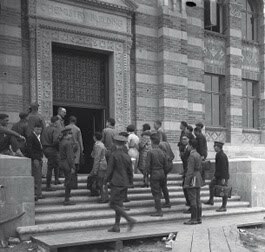 Opening the chemistry building (now Haines) in 1929. UCLA History Project. Bizarre! 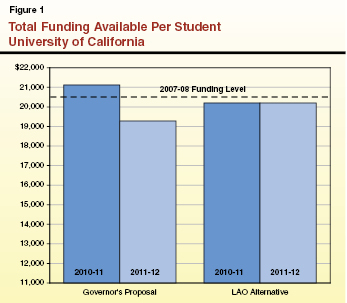 The LAO had previously said that instead of cutting UC (and CSU) next year, we should cut now - although we are more than half way through the fiscal year - spreading the cuts equally among the two years. 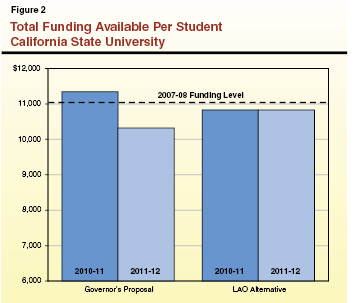 I am reproducing a new report by LAO that makes the argument that UC and CSU were prudent and therefore taking away money this year won't hurt as much. The relevant portions are in LARGE italics below. I reproduce the entire report. Scroll to the bottom for a link to a pdf version. The Governor’s budget solutions in higher education include unallocated General Fund reductions of $500 million for the University of California (UC) and the California State University (CSU). 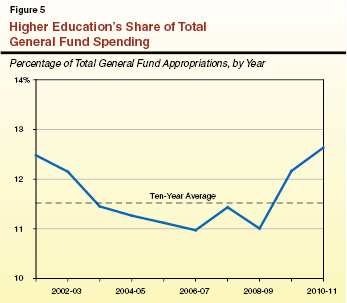 As we discuss in our recent publication, The 2011–12 Budget: Higher Education Budget in Context, while these reductions are large, in our view they do not appear unreasonable given the size of the state’s budget problem, and considering that the current–year budget imposed no program reductions on the universities. Despite some new revenue from tuition increases, the universities would have to implement a range of service reductions affecting students, faculty, and staff to absorb these reductions. This brief provides our recommendations for mitigating the impact of the reductions on UC’s and CSU’s educational missions. Buys Time to Adjust Base Budget. A stepwise reduction would preserve more funding for the segments in the budget year, and potentially in their ongoing base budgets. This would allow additional time for the state to seek alternative savings for the future, or for the segments to align their future costs with projected funding levels. Realigns Expectations. In practice, the campuses would have to begin implementing reductions in the current year in order to meet the $1 billion savings target. Formalizing reductions in the current year promotes early implementation of savings strategies, and helps prevent the illusion of plentiful funding in the current year that may delay necessary actions. Improves Transparency. Showing the reduction over two years would also provide a clearer picture of the resources available for each year, which is helpful to policy makers in analyzing trends and making future funding decisions. Even if the budget is enacted by March 2011, no more than four months would remain in the fiscal year for the universities to achieve savings. It can be difficult to make necessary changes in such a short period of time, with the spring term well underway. However, there are reasons to expect the universities to have savings in the current year. Late Budget With Large Augmentations. The 2010–11 budget was not enacted until October 2010, several months into the academic year. The universities made the majority of their enrollment decisions for the current year before they knew they would receive large augmentations. In CSU’s case, campuses based fall admissions on an enrollment target nearly 30,000 full–time equivalent (FTE) students lower than the funded enrollment level due to cautious budget expectations. The campuses will enroll additional students in the spring term but will be unlikely to meet their new enrollment targets. As a result, it will be difficult for them to spend all their budgeted resources. Prudent Caution Regarding 2010–11 Increases. Some university officials were skeptical about the state’s ability to fund the university augmentations proposed by the previous Governor in his May Revision. When the augmentations were included in the enacted budget, it was understood that these amounts might be reduced in a special legislative session or the next regular budget cycle. Under these circumstances, the segments needed to hold down spending in the event the augmentations were reduced. Informal discussions with some campus officials suggest the segments have exhibited such caution. As noted above, the magnitude of funding reductions in 2011–12 would be smaller under LAO’s alternative distribution than the Governor’s proposed budget. However, total university support in the current year and the budget year would still be about $368 million less each year than the 2010–11 budget presumed. This is an annual reduction of about 4.5 percent in total programmatic funding. We recommend the Legislature provide some parameters regarding how the segments accommodate these reductions. Continue to Implement Academic and Administrative Cost Reductions. In response to funding reductions in recent years, both segments have begun to implement a number of actions to reduce costs for instruction, student support, and administrative services. For example, administrative initiatives include bulk service, supply and energy procurement; joint information technology support; and restrictions on travel and other discretionary spending. Academic cost reductions have been achieved through increased class sizes, higher teaching loads, consolidated student support services, and academic program consolidation or elimination, as well as efforts to reduce students’ time to degree. 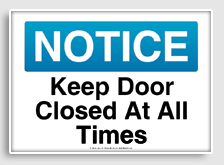 In addition, cross–cutting personnel actions have included postponing merit increases; imposing employee furloughs and layoffs; reducing salaries for senior management; and increasing employee contributions to retirement plans and other employment benefits. We recommend the Legislature direct the segments to continue pursuing these types of reductions as they develop plans to accommodate budget cuts. Recognize Lower Enrollment Level for CSU. Given the late passage of the 2010–11 budget, it is unlikely CSU will meet its budgetary enrollment target. The CSU campuses admitted students for the fall semester based on an enrollment target that was about 30,000 FTE students lower than the level ultimately funded in the 2010–11 budget. Recognizing the enrollment reductions that have already taken place for CSU and basing the 2011–12 targets on a realistic estimate of current–year enrollment would lessen the need to further “reduce” enrollment in the budget year. In contrast, UC enrolled more students than budgeted in the current year. To better align enrollment with available resources, the university is likely to adjust its enrollment toward the budgeted level. Do Not Rule Out Limited Tuition Increase. In The 2011–12 Budget: Higher Education Budget in Context, we note that while resident undergraduate tuition at UC is at the median for its comparison group, tuition at CSU remains lowest among its comparison group of 16 state universities. The result is that, compared with other states, California is more broadly subsidizing all state university students, including those with the ability to pay more. Given substantial protections in place for financially–needy students—Cal Grants and campus financial aid cover full tuition for about half of UC and CSU students—we suggest the Legislature consider the possibility of some additional tuition increases. Although the administration says that the unallocated reductions are “intended to minimize fee and enrollment impacts on students by targeting actions that lower the cost of instruction,” it is not clear how the administration plans to achieve this goal. Proposed budget bill language simply requires the segments to “develop an appropriate enrollment target” in consultation with the administration and the Legislature. We recommend the Legislature amend the budget package to specify how the segments accommodate General Fund reductions. For example, it could specify enrollment targets and maximum tuition levels, thus influencing the extent to which the segments balance enrollment and tuition changes with other strategies as discussed above. To ensure compliance, General Fund appropriations could be tied to the meeting of these expectations. While immediate steps are necessary to accommodate reductions, funding constraints are projected to persist for the foreseeable future. As a result, we believe the state needs a longer–term strategy to make the higher education system more efficient and productive. (See nearby box about the growing consensus on the need for structural reform in higher education.) Many of the policy changes the Legislature may wish to make will require time to develop and fully implement. There are steps, however, the Legislature and the universities could take now to begin this process. Prioritize. In the context of state priorities for higher education, we recommend the Legislature reexamine the balance of functions it expects higher education to focus on—including research, graduate education, and undergraduate education. Direct Universities to Prioritize. Likewise, the universities should identify priorities within their programs and services. We recommend the Legislature direct the universities to streamline offerings by eliminating, merging, or markedly improving the cost–effectiveness of low–enrollment, high–cost, underperforming, or unnecessarily duplicative programs. Transform Delivery of Instruction. Despite the integration of some online learning and other technologies, most instruction is still delivered largely the same way it has been delivered for decades, and in some cases centuries. The standard lecture course format with an instructor presenting content to students is often expensive, outdated, and fails to take advantage of improved understanding of how students learn and related advances in instructional design and technology. We recommend the Legislature develop incentives for campuses to adopt updated instructional methods that have been shown to improve outcomes and reduce costs. Measure What Matters. As the state considers goals and priorities for higher education, it will need to identify desired outcomes for both instructional and support programs. For example, several states have identified key outcomes such as program completion, licensure and certification, job placement rates for students, and value–added student learning outcomes. We recommend the state establish goals and desired outcomes for higher education, set corresponding outcome targets, and measure the outcomes and associated costs for each university system. 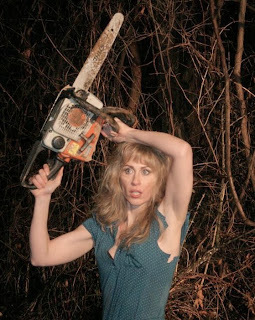 Reconsider Roles. The Master Plan’s clear differentiation of the eligibility pools, missions, and functions for each of the public higher education segments has become blurred over time. For example, changes in UC’s eligibility criteria have increased the overlap in eligibility pools for UC and CSU. Increasing selectivity at some CSU campuses has weakened the local admission guarantee for CSU–eligible students. The Legislature has authorized CSU to offer three professional doctoral degrees, as exceptions to the Master Plan’s assigned functions which gave UC sole authority to award the doctoral degree. In light of the state’s resource constraints, we recommend the Legislature reconsider the roles of each segment, and campuses within the segments, with an eye toward the overall efficiency of the state’s higher education system. There has been growing nationwide consensus that public colleges and universities must find ways to markedly improve student outcomes—such as degree and credential attainment—within available resources. States have begun to make fundamental changes in their higher education systems to this end. For example, Washington, Ohio, and Indiana have recently implemented new funding strategies tied to student outcomes, and several other states are close behind them. Indiana has partnered with a low–cost online university to boost educational attainment for adults in the state. Several other states are developing ways to take advantage of capacity in private colleges and universities. Tennessee has revised its approach to remedial education. Maryland and Ohio have implemented comprehensive efficiency programs for their higher education systems. 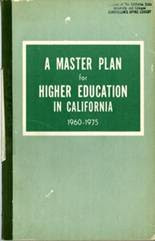 In California, this notion of a systematic review of programs characterized the work of UC’s Commission on the Future, the Community College League of California’s similarly named commission, and the recent legislative Joint Committee to Review the Master Plan. In addition, both UC and CSU have launched systemwide initiatives to improve efficiency, degree completion, and other positive outcomes. With the notable exception of recent transfer legislation (Chapter 428, Statutes of 2010 [SB 1440, Padilla]), however, there has been little statewide policy action to improve the productivity of public higher education as a system. Profound changes will be required to align higher education outcomes and costs with the state’s needs and realities. Although many of these reforms involve longer–term transformation, each could be started by legislative or institutional policy actions in the current year. This brief provides our preliminary recommendations for responding to the proposed reductions in UC’s and CSU’s General Fund budgets. In the coming weeks, we will provide additional guidance on these proposals and other features of the Governor’s budget. From time to time, yours truly has noted that a public pension proposition on the ballot could override the Regents’ action last December, unless it explicitly exempted UC. 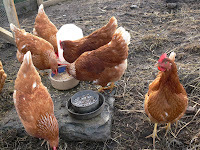 It is possible there could be a proposition related to pensions as early as June. Such a proposition would not be an initiative, i.e., a proposition put on the ballot by voter petition. There is not enough time to go the initiative route. However, Jerry Brown needs to get his tax extension on the ballot by June and he needs the legislature to put it there (since, again, there is no time for an initiative). SACRAMENTO -- Republicans have yet to emerge with an official set of demands they'd want met before considering Gov. Jerry Brown's budget proposal, but pension reform will top the list once they do. Sen. Mimi Walters, R-Laguna Hills, is preparing a package of pension reform bills she said must be addressed before taking up taxes. Among her reforms is legislation requiring all new state employees to enter 401(k)-style benefit plans. "We want reforms in place before there's any discussion about tax increases," said Walters, the GOP's nominee in the fall for state treasurer who was trounced by incumbent Bill Lockyer. "I do know there's not support at all to even put it on the ballot without significant pension reforms." …Brown said last week he intends to unveil his own pension proposal "in the coming weeks," but does not want to tie it to budget negotiations with Republicans. …Though pension reform may help attract Republican support, it could be vital to Brown's hopes of gaining voter approval for his tax extension, said Marcia Fritz, a public accountant and president of the California Foundation for Fiscal Responsibility. "If Brown doesn't show real reform, not just a little, I think his (tax plan) is dead," said Fritz, a Democrat who said she voted for Brown. 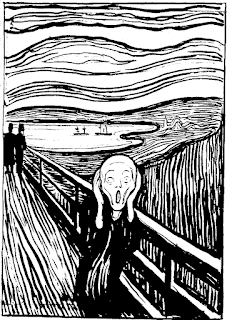 "Just calling for taxes and keeping the pension problem unresolved is madness. I think the two go hand in hand." …Still, most of the large public employee labor organizations have agreed to contracts in which they rolled back previous gains, and have said they are willing to look at more changes. But coupling pension reform with the budget is a nonstarter for them. There was definitely a need for landscaping in front of Powell in 1930. Looking for a rail connection to UCLA? Back in the day, there was one. 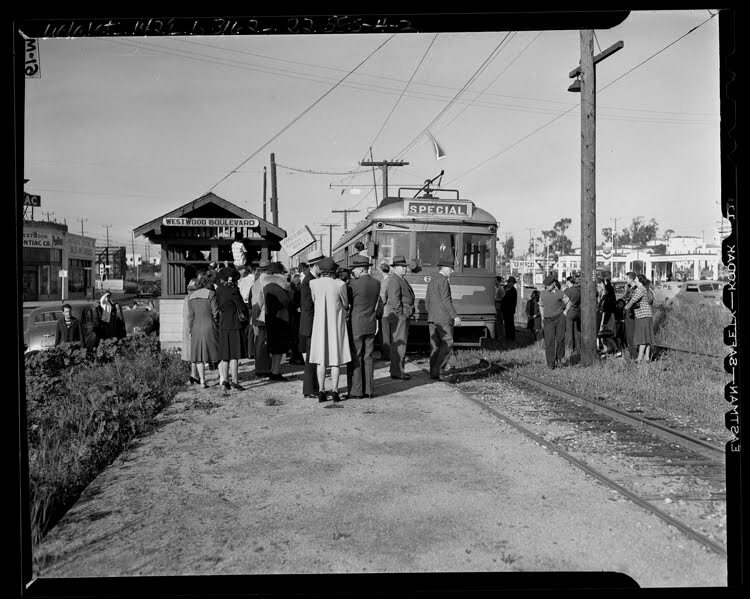 Here is the Westwood Boulevard stop. Now you will have to wait for the subway to the sea. 70% Tuition Hike? Thanks for the Suggestion, Joe! 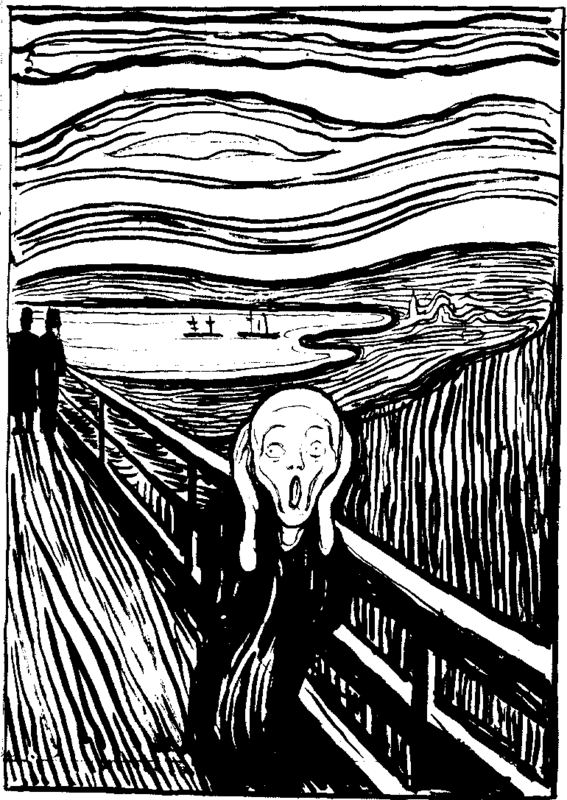 Joe Mathews pens a blog item with a scare headline on tuition and then suggests we put UC tuition increases on the ballot. Thanks for both helpful thoughts, Joe. PS: You can do better. Could a 70 Percent Tuition Increase Be in UC's Future? At the University of California, there's a rule of thumb: for every $100 million that the university system loses in public support, fees (now being called tuition) goes up by 7 percent. So let's do some facile math. With Gov. Brown proposing to cut $500 million from UC (a 20 percent cut in state support for UC), that could result in a 35 percent fee/tuition increase. UC officials say they won't increase fees now and will look to make cuts. But bank on the fact that in the long-term, the piper must be paid. And 35 percent may not be enough: UC President Mark Yudof gave an extensive interview to the LA Times this weekend in which he said the $500 million cut actually creates a $1 billion hole in the state budget. If that's true and the math is right, does that mean UC students will see a 70 percent fee increase in the future? That amounts to a big tax increase on California families. As a candidate, Gov. Brown promised that taxes wouldn't be raised without voter approval. By that logic and math, shouldn't these fee/tuition increases be put to the people? The Legislative Analyst's Office (LAO) has issued a review of the education doctorate CSU was authorized to implement. As earlier posts have noted, doctorates at CSU are basically in violation of the Master Plan - whatever is left of it. The legislature nevertheless, and in a time when budget problems could hardly be worse, permitted the CSU doctorate expansion (also in nursing in physical therapy). But it required a "team" consisting of the LAO, the Dept. of Finance, and CSU to come up with an evaluation of the educational doctorate. Not surprisingly, the team could not agree. So the LAO issued its own report which politely suggests reticence about letting the CSU doctoral expansion continue. And it suggests that when it comes to the nursing and physical therapy doctorates, the team evaluation notion - other than a simple description of the program - be abandoned. * Make further expansion of CSU Doctor of Education degree programs contingent on specific authorization in the annual budget act. * Specify conditions for expansion, including: the availability of enrollment growth or redirected funding, a sustainable level of demand for programs, and consideration of alternative ways to meet that demand (such as including multi–campus, off–campus, and online options). * Require CSU to identify a limited number of common indicators to assess the effects of its education doctorate programs on system reform and student achievement, and report on outcomes in 2016. - Limit the joint report to a description and evaluation of compliance. - Include a similar outcome reporting process, to be completed after at least three cohorts of students have graduated from the new programs. LAO seems to feel that the CSU expansion into doctorates could be like a runaway train if it isn't halted. Although we have no transcripts of the "team" meeting at which this matter was discussed by LAO and CSU, could it have gone something like this? In response to Gov. Jerry Brown's proposal to slash $500 million from the University of California budget, UC President Mark G. Yudof said this week that he might be forced to flout the state's 50-year-old Master Plan for Higher Education by reducing enrollment by thousands of students who otherwise would qualify for entrance. It's unclear whether Yudof meant that as a strategic threat or as a plan, but we're afraid it may have to be the latter. As dear as Californians hold the master plan, and as painful as it would be to deny California students admission at a moment when the U.S. government is stressing the importance of producing more college graduates, it's more important to preserve the educational excellence and worldwide reputation of UC. ...Further big increases in tuition would turn California's elite students toward other colleges, including private institutions where merit scholarships would bring the cost of a college education close to that of UC. Although some cuts will certainly be necessary, major program reductions could harm the university's reputation. Accepting more out-of-state students who pay full tuition is a good interim solution, but the university is already doing that, and it's a strategy with limited growth potential. Only a few campuses have the cachet to draw outside students. ...UC should be asking its employees to prevent layoffs by sharing some sacrifice. This also is the wrong time for the university to be moving toward a more expensive and subjective "holistic" admissions system, when too many high-achieving students already face the prospect of being rejected. Reduced admissions to UC would create a domino effect... Students rejected at UC would knock at the doors of the California State University system, which faces equally daunting cuts. That in turn would push more students into the community colleges, where Brown has recommended a $10-per-unit fee increase, or about $300 a year for a full-time student. The community colleges are the one system in which fee increases are overdue; even at the higher price, they would be the least expensive in the nation. ...As they wrapped up their meeting in San Diego, the regents also awarded controversial, 10% pay raises to three financial managers in the UC president’s office whose salaries after the increases will range from $216,370 to $247,500. Officials defended the one-time raises as a way to save money in the long run; chief risk officer Grace Crickette; Dan Sampson, assistant vice president for financial services and controls; and Sandra Kim, executive director of capital markets finance, had contracts that called for annual bonuses even while UC was eliminating such bonus plans. Their contracts were renegoiated for the one-time raise with no bonuses or future raises planned, according to Peter J. Taylor, UC’s executive vice president and chief financial officer. Unions criticized the decisions, calling such raises for executives unseemly at a time when low-wage UC employees face increased costs for pension and retirement health plans and a state budget crisis threatens large scale layoffs across the university. This posting continues from Part 1. Please see the text of Part 1. Can We Drop the High Paid Pension Thing Now Rather than Wait for March, Regents? I have posted some of the audio of the January Regents meeting and will get around to posting more soon. However, the issue of the demand for high-paid UC exec pensions - see earlier posts if you have been buried in a cave for the past month - continues to be a blemish on UC. Moreover, it exacerbates the entire state budget scene. At the January Regents meeting, it was pointed out that the demand is not helpful to UC at all. But the matter is apparently being deferred to the March Regents meeting. That delay means it continues to fester. Below is a video by a Republican Assemblyman castigating the Brown budget. At around the 2 minute mark, he singles out the UC exec pension issue. 1.18.11 Asm. Donnelly / Budget Shreding from CA Assembly GOP on Vimeo. There is no doubt that at the March meeting, the Regents will follow Yudof's recommendation and just say no. So why not now? I am going to be posting the Regents meeting audio from the session of 1-19-11, morning. This session was devoted to the budget outlook and a proposal to expand "holistic" admissions. It takes me some time to get the audios in shape for posting. I am going to post four which deal primarily with the budget and one which gets into the holistic discussion. When I have time, I will continue the posting. However, the budget discussion - although no decisions were taken - may well be significant. If you listen to the speeches by Regent Gould, President Yudof, and Academic Council Chair Simmons, the picture is dismal. The comments from the Regents suggest that (most of) them are beginning to get it. This is not a one-time dip in the business cycle. I think the true headline was realization by the Regents that the problem is long-term. SAN DIEGO -- The University of California will shut out tens of thousands of qualified students over the next decade as deep budget cuts force the nation's premier public university to become more exclusive, UC President Mark Yudof told the regents Wednesday in San Diego. UC is staring at a budget gap of at least $1 billion next year, half of which is expected to come from reduced state funding for 2011-12. The rest, Yudof said, will be from unavoidable expenses: higher negotiated salaries, rising energy costs, millions in pension contributions and more. …"The moment is fast approaching when the university will no longer be able to guarantee admission to all California applicants who meet the eligibility criteria," the central tenet of the state's 50-year-old Master Plan for Higher Education, Yudof said. …Yudof estimated that 20,000 to 30,000 qualified students will be turned away because UC won't have the money to educate them. Below is the report on higher ed and the governor's proposed budget just issued by the Legislative Analyst. In certain respects, the report tends to minimize the problem. For example, a chart below (Figure 5) shows the budget through the current year but omits the cut for next year. That cut brings the budget down to last year's. In its earlier report, and now this one, the Leg Analyst repeats the idea that the legislature should tell UC how to make the cuts. At today's Regents meeting, there was much talk about the budget cuts; the idea that the legislature should get into micro-managing the UC adjustment process was not anything for which there was support. The Governor’s proposed 2011–12 budget includes sizable General Fund reductions for the state’s university systems and the community colleges totaling about $1.4 billion. While the administration does not provide many specific proposals as to how those reductions would be accommodated, they could affect access to higher education programs, the price paid by students, average class size, and the availability of various related services, among other things. The budget assumes fee and tuition increases at all three public segments. At the same time, the Governor’s budget would fully fund financial aid programs, thus helping to ensure that cost does not prevent enrollment by financially needy students. The budget also includes General Fund augmentations to backfill one–time federal funds received by the universities in 2010–11, pay for increased retirement costs, and cover other workload adjustments. This publication provides context to help the Legislature think about what the Governor’s proposed budget could mean for higher education. 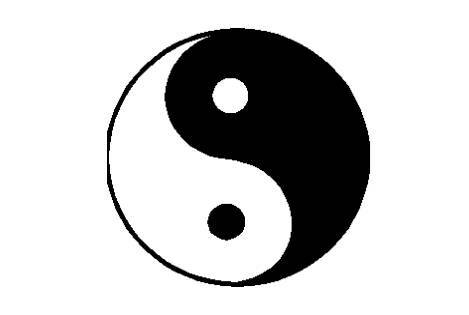 It is divided into two parts. The first part reviews how the state’s budget crisis has affected higher education to date, while the second part assesses how the Governor’s budget proposal would affect higher education in 2011–12. In other publications we recommend specific budget actions for the Legislature to take with regard to higher education. In recent years, confusion has surrounded the question of how the budget crisis has affected higher education budgets. To a large extent, this confusion results from different characterizations that focus on different funding sources or use different baselines for their comparisons. As we have explained elsewhere, there is no single correct way to describe higher education funding. However, below we present what we consider to be the most relevant facets of changes to higher education funding since 2007–08. That year is considered by most to be the last fairly “normal” year for higher education funding—enrollment growth and cost–of–living increases were funded at all three segments, no large unallocated reductions were imposed, and no payments for new costs were deferred to future years. Hastings = Hasting College of the Law; CPEC = California Postsecondary Education Commission; and CSAC = California Student Aid Commission. Simply looking at General Fund appropriations can be misleading for purposes of understanding trends in programmatic support for higher education. Other sources of funding (primarily tuition and fee revenue, local property taxes, and federal stimulus funding) work in combination with General Fund revenue to support core higher education programs. In addition, some budget solutions (such as funding “deferrals”) create General Fund savings without having a direct impact on programs. Moreover, increases or decreases in enrollment affect the level of resources available to serve each student and thus should be factored into an analysis of programmatic funding. In Figure 2, we combine all core sources of funding and adjust for deferrals and enrollment changes to show programmatic support per student from 2007–08 through 2010–11. Over that period, funding per student increased 3.6 percent and 4.6 percent at University of California (UC) and California State University (CSU), respectively, and declined 3.9 percent at CCC. Note that this figure does not adjust funding levels for inflation. This is for two reasons: (1) inflation rates have generally been low, and (2) state law adopted in 2009 expressly prohibits automatic annual price increases for higher education and most other areas of state government. At the same time, we acknowledge that any price increases experienced by the segments have the effect of eroding their programmatic funding. a Includes General Fund, tuition and fees, local property tax revenues, federal stimulus funds, and Lottery proceeds. b Counts deferral monies in the fiscal year in which they were programmed (as opposed to received) by districts. Reflects funding per budgeted full–time equivalent student. In our opinion, higher education has generally been spared the kinds of programmatic reductions experienced by other state sectors since the recession began. Although the segments have experienced significant General Fund reductions, these reductions by 2010–11 have been backfilled with other sources of revenue, primarily student tuition and federal stimulus funding. As a result, students are now paying a higher share of the cost of their education, as we describe in the next section. College affordability is determined by several factors. These include tuition levels, other costs of attending college, personal income and financial resources, and the availability of financial aid. California historically has had relatively low tuition and robust financial aid programs compared with other states. These advantages have been somewhat offset by higher–than–average living expenses. From this comparatively low starting point, tuition charges at the state’s public universities have increased steadily in recent years. Tuition–paying students—those who do not qualify for financial aid due to their income levels or other factors—are paying significantly more than they paid in 2007–08. Many students, however, do not pay tuition. State and campus financial aid programs cover full or partial tuition for nearly half of university students, and full tuition for more than half of community college full–time equivalent (FTE) students. Tuition by Any Other Name. In 2010, UC and CSU ended the longtime practice of avoiding the term tuition. Some student charges previously called mandatory systemwide fees (including the Education Fee at UC and the State University Fee at CSU) are now called tuition. Students Paying Higher Share of Costs. Tuition represents a growing share of average educational costs at all three segments. In 2007–08, the full tuition charge represented about one–third of average costs at UC, one–quarter at CSU, and 11 percent at CCC. This year the tuition shares of cost are 45 percent, 35 percent, and 15 percent, respectively. Figure 3 shows amounts currently paid by a tuition–paying student and the state at each segment. Tuition at UC Rises to Middle of Comparison Group. Since 2007–08, UC has increased tuition 68 percent, to $10,302 (see Figure 4 on next page). Even with those tuition increases, UC’s tuition is roughly average relative to comparable public research universities in the United States. Tuition at CSU Rises Steeply, but Remains Lower Than Comparison Institutions. As Figure 4 shows, the four–year increase in CSU tuition is even greater, at 76 percent. Undergraduate tuition is now $4,440 annually. Despite these recent increases, CSU remains at the very bottom of its group of 15 comparison public institutions and far below regional and national averages for state universities. CCC Fees Remain Lowest in Nation. California has long had the lowest community college fees in the nation. Fees were increased from $20 per unit ($600 per year for a student taking a full course load) to $26 per unit ($780 per year) in 2009–10. At this level, CCC fees are about one–fourth of the national average for community college fees, and are more than $400 below those of New Mexico, the state with the second–lowest fees. California students with financial need (as defined by federal aid guidelines) may qualify for a range of financial assistance including grant aid from the federal government, state, universities, and private sources; full or partial fee waivers; and student loans. Many Students Shielded From Tuition Increases. About half of students receive need–based financial aid specifically to cover full tuition costs. The state’s primary student financial aid program is the Cal Grant program. About 240,000 students at public and private postsecondary institutions will receive an estimated $1.3 billion in Cal Grant awards this year. Income ceilings for eligibility are relatively high. For example, a student from a four–person family making up to $78,100 per year could qualify. Most Cal Grant awards include full tuition coverage at the universities, and Cal Grant recipients at the CCC receive fee waivers. Cal Grants Are Tied to Tuition Levels. The Cal Grant award amount for UC and CSU students is set by statute at the mandatory systemwide tuition and fee level for each segment. (Some Cal Grant recipients are not eligible for a tuition payment in their first year, but most of these students receive additional support from the institutions to cover this cost.) When the segments increase tuition, California Student Aid Commission (CSAC) increases award amounts accordingly. As a result, all university students whose tuition is paid by Cal Grants are protected from tuition increases. Campus–Based Financial Aid Programs Expand With Tuition Revenues. For many years, the universities have set aside a portion of revenues from tuition increases, currently about one–third, to augment their own financial aid programs. In the current year, UC and CSU campuses are providing about $1.5 billion in student financial aid, primarily from tuition revenues. Between Cal Grants and institutional funds, tuition is fully covered for about 45 percent of CSU students and 47 percent of UC students. In addition, UC campuses offer partial tuition coverage, equal to half the amount of any tuition increases, to eligible students with family incomes up to $120,000 who are not otherwise eligible for grant assistance. The UC plans to expand this program to cover 100 percent of the 2011–12 tuition increase for these students. Beyond tuition coverage, campus–based aid at the universities also covers some non–tuition expenses (such as books and living expenses). In fact, UC uses its campus–based aid to cover any remaining financial need not covered by other sources (such as federal aid and family and student contributions) for all of its students. Similar programs at CSU ensure all need is met for some, but not all, students. The CCC’s primary campus–based aid is provided through the Board of Governors (BOG) fee waiver program. All financially needy students qualify to have their enrollment fees waived, and thus are not affected by fee increases. The CCC estimates that more than half of all enrollment fees are waived under this program. Federal Aid Programs Have Expanded. Although not directly tied to tuition levels, federal financial aid programs have helped to offset some cost increases in recent years. The maximum federal Pell Grant has increased by $1,240 since 2007–08, to $5,550 in the current year. About one–third of UC and CSU students qualify for these grants. Many military veterans returning from active duty are benefiting from the post–9/11 GI Bill, which became effective in August, 2009. Benefits include full tuition and fee coverage at the public segments, a monthly housing allowance, and an annual stipend for books and supplies. The American Opportunity Tax Credit (AOTC), effective from 2009 through 2012, reimburses students or their parents with a family income of up to $160,000 for up to $2,500 of qualified educational costs. Even families who do not owe taxes can qualify for partial refunds of educational costs under the AOTC. This is an enhancement of the Hope credit, which provided up to $1,800 in reimbursements, had lower income ceilings, and was not reimbursable. Many Perceive Price as Barrier. Despite these benefits from the state, campuses, and the federal government, there is a public perception that higher tuition is a barrier to attending college. According to a fall 2010 survey by the Public Policy Institute of California, more than two–thirds of Californians—and more than 80 percent of lower–income respondents—believe the price of a college education keeps students who are qualified and motivated to go to college from doing so. This suggests a need for more effective outreach to financially needy students and their families. In the current year, CCC has slightly less funding per student than it had before the current recession began, while UC and CSU have slightly more (after taking into account revenue from tuition increases). Meanwhile, state financial aid programs have received funding increases to cover increased participation and the increased cost of fee coverage. While higher education has been spared the programmatic reductions experienced by most other sectors of state government, it has been affected by the budget crisis in several key ways. Campuses Contending With Funding Constraints. As a result of this General Fund volatility, the higher education segments in some years have had to tap into funding reserves and take actions to reduce per–student costs—increasing class size, furloughing employees, and reducing various campus services and overhead, among others. Moreover, the universities in particular have sought to limit enrollment, employing various enrollment management practices such as increasing admission standards, restricting the number of courses students can take, suspending summer sessions, and other techniques. Some campuses have also boosted revenues by enrolling more nonresident students. The lack of inflationary adjustments has generally prevented faculty and staff salary and benefits increases. The Governor’s budget proposal provides $15.9 billion for higher education, including $9 billion from the General Fund, $1.9 billion in local property tax revenues, and $3.8 billion from student fees (see Figure 6). The proposal reduces General Fund support for higher education by $1.8 billion or about 17 percent from the 2010–11 level. These reductions are overstated, however, due to a proposal in the budget to shift $947 million in funding for the Student Aid Commission from the General Fund to federal funds. After adjusting for this shift, the year–over–year reduction in higher education spending is $875 million, or 8 percent. Figure 7 lists the primary reductions and augmentations that produce this net year–to–year reduction. a Figures for tuition revenue and fee revenue at UC, CSU, and Hastings College of the Law exclude amount diverted to financial aid. b Other funds for CSAC include reimbursements from Student Loan Operating Fund and federal Temporary Assistance for Needy Families funding. $500 million unallocated reduction for UC. $500 million unallocated reduction for CSU. $400 million unallocated reduction for CCC. $129 million “deferral” of some CCC apportionment funding from 2011–12 to 2012–13. $947 million reduction in General Fund support for the California Student Aid Commission (CSAC), replaced with the same amount of federal funding. $371 million augmentation to cover increased Cal Grant costs. $212 million augmentation to backfill one–time federal funding in the universities’ 2010–11 budget. $70 million augmentation to backfill one–time Student Loan Operating Fund support in CSAC’s 2010–11 budget. Reduce General Fund support for higher education by 21 percent. Keep total higher education funding about even. 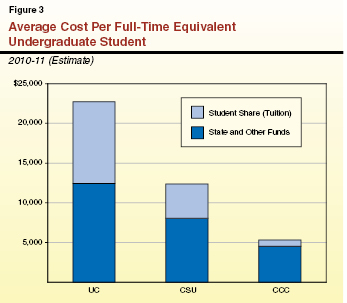 Reduce per–student funding at UC and CSU by about 4.5 percent (assuming no enrollment change). It augments the universities’ General Fund appropriations by $106 million each, replacing one–time federal stimulus funding that had supplemented the universities state support in the current–year budget. This has no programmatic effect; it is simply a fund swap. It then imposes unallocated $500 million reductions to each university’s General Fund support. The administration says that the unallocated reductions are “intended to minimize fee and enrollment impacts on students by targeting actions that lower the cost of instruction.” However, the administration does not explain how it expects this goal to be achieved. The Governor proposes a $400 million unallocated reduction to CCC apportionments, as well as a new deferral of $129 million. The deferral has no programmatic effect; it simply delays into the next fiscal year a state payment of $129 million to cover CCC costs incurred in 2011–12. This new deferral would bring CCC’s ongoing deferrals up to $961 million—or about 17 percent of its annual Proposition 98 appropriation. While the Governor offers no specific proposals for allocating the $400 million apportionments reduction, he suggests that changes to allocation formulas (including a change in how and when the number of students to be funded at each campus is counted) could better align campus incentives with state objectives. In addition, revenue from a proposed fee increase (see below) would in effect compensate for $110 million of CCC’s unallocated reduction, leaving a net reduction of $290 million. Past, current, and proposed enrollment levels for the higher education segments are shown in Figure 8. For CCC, the administration proposes a $110 million augmentation to increase funded enrollment by 1.9 percent (or about 23,000 FTE students). However, as noted above, the administration also proposes a $400 million reduction to CCC apportionments. Combined, these two proposals lead to a net reduction of $290 million in CCC apportionment funding. In addition, most CCC campuses are already enrolling more students than they are funded to serve. For these reasons, we believe it is unlikely to expect an increase in systemwide community college enrollment under the Governor’s budget. Figure 9 shows past, current, and proposed annual student fees at the public colleges and universities. a Amount reflects full effect of midyear increase. The UC and CSU have already approved tuition increases of 8 percent and 10 percent, respectively, for 2011–12. In addition, CSU adopted a 5 percent midyear increase in 2010–11 which will further raise student tuition payments when its full–year effect is realized in 2011–12. Both universities have announced plans to continue their practice of setting aside one–third of new tuition revenue to augment campus financial aid programs. In combination with Cal Grants, these programs fully cover fees for nearly half of UC and CSU students. The Governor proposes the CCC student fee be increased from $26 per unit to $36 per unit. (As noted above, CCC would keep the associated revenue, which would in effect backfill a portion of the Governor’s proposed $400 million cut.) Even with this increase, California’s community college fees would remain by far the lowest in the nation. In addition, the BOG’s fee waiver program waives fees for all financially needy students—about half of all FTE students enrolled at CCC. As shown in Figure 10, the Governor proposes $307 million in bond spending on capital outlay at the three segments. About two–thirds of this spending would come from new lease–revenue bonds, with the remainder coming from general obligation bonds already approved by voters. The budget also projects $756 million in General Fund expenditures in 2011–12 to service existing general obligation fund debt for higher education projects. The Governor’s 2011–12 budget proposal for higher education includes sizable General Fund reductions to help balance the state budget, increases in student tuition and fees to partially backfill those reductions, and increases in student aid to help prevent cost increases from affecting access for financially needy students. The budget generally returns higher education’s share of state General Fund support to the average level it has received over the past decade. At the same time, the Governor’s budget does not clearly specify how the segments should absorb the proposed net funding reductions. We recommend that the Legislature express its expectations about this issue as part of the budget process. We also recommend that the Legislature consider achieving some General Fund savings for the universities in the current year, which could help reduce the size of the budget–year reductions proposed by the Governor. We elaborate on these recommendations in other publications.